Luke Sital-Singh's latest single The Last Day is a heart-wrenchingly poignant yet life-affirming imagining of his last day alive, in which he crafts hope and light out of the embracing of mortality. "I had no intention of writing another song about death", Luke says. "I guess that's just the happy fun-time guy that I am. "I like how a song about the end is coming out first. Putting everything in perspective again as a new phase begins." Back in April, Luke was invited to give a a TED Talk in Vancouver. He spoke about the cathartic effect of writing and performing 'sad' songs, as well as performing two tracks live. Luke Sital-Singh's songs are rich and somber and have the tendency to stop you in your tracks. "I like writing about the heavy things. There's a lot of shallow stuff out there and that's fine for a certain context. "My fun is diving as deep as I can. Inside myself and, if I can, inside others and writing songs that are as honest as I can make them. "Honest to the struggles we all face, the sadness but more importantly, the hope." Luke Sital-Singh released his debut single Fail For You in 2012, introducing the world his deft ability to craft songs with a piercing emotional quality. The song went on to be featured in numerous TV shows including Grey's Anatomy. At the end of 2013, Sital-Singh was featured in the BBC's Sound of 2014 list and signed to Parlophone records, who released his debut record The Fire Inside later that year. After a couple of years touring the world and opening for artist such as Villagers, The Staves, Martha Wainwright and Angus and Julia Stone, in 2017 Sital-Singh released his critically-acclaimed second record, Time Is A Riddle. The album's lead single Killing Me added to Luke's combined streams since 2015 of almost 120m. His December dates are a last chance to see the acclaimed Bristol-based singer-songwriter before he re-locates to Los Angeles in January 2019. 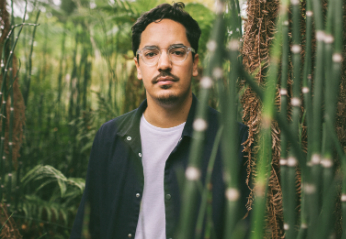 Luke Sital-Singh plays at Brighton Unitarian Church on Wednesday 5th December 2019. CLICK HERE for tickets.